Sure Home Inspection Services, Inc. Comment: Hello, I would like to have my roof inspected. I feel as though there may be some soft spots on the roof. No leaks; no visible water issues. I would just like a general assessment of the roof. Comment: Potential water damage in basement from outside deck, rotted wood. Carpenter ants currently being treated for. Would like a full home inspection to determine damage and plan to fix. Comment: Need home and well inspection for home purchase. Middlesex Home Inspectors are rated 4.83 out of 5 based on 1,275 reviews of 32 pros. 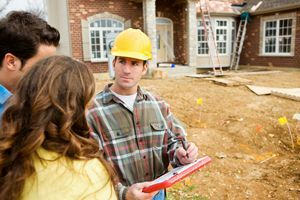 Not Looking for Home Inspection Contractors in Middlesex, NJ?